has established itself as one of the leading Shipsupplier,Crewing, Ship Repairers and Services Contractors carrying out its operations on the entire Sea Coast of Cameroon, with its Head Office at Douala, it also renders services at Kribi Port, Limbe Port, Limboh field, Kole and Moudi field. The company came into existence in the year 2006. The strength of the company lies in its good infrastructure, strong capital base and skilled technical personnel. The sole objective of the company is to provide Value Added Services at reasonable prices and aim at having long-term relationship with its clients considering their needs. As a customer oriented business, we are very much on tailoring our products and services to meet individual requirements. Quality and safety are the cornerstones on which we build our business. The background of many years of experience in the Marine services, Ship Supply and Ship Repair sector and the ability of providing for all the necessary facilities to fulfill 100% customer satisfaction, are the keys to the success of GIT of Companies Ship Supply and Ship Repair Ltd.
Having workshop with full-fledged facilities and equipments such as Sand-Blasting Machines, Compressors, Lathe, Steel Plate-Bending Machine, Slaughting Machines, Welding Equipments, Cutting Sets, & all types of Machinery to tackle any technical job. The company owns fleet of tankers and barge to supply bunker and sweet water to vessels calling Douala at any hour. G.I.T serves the vessels calling at all ports and straits of Cameroon. 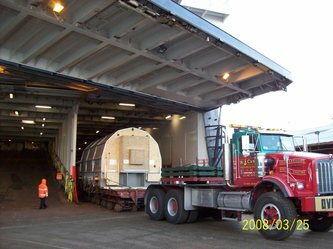 G.I.T has many years of experience and wide investments in the Shipping, ship Supply and Ship Repair sector.